The Habitat Authority contracts for ranger services with the Mountains Recreation and Conservation Authority to patrol the Habitat Authority’s 3,869 acres. All rangers are CA Peace Officers and wildland firefighters trained in Search and Rescue, Emergency Medical Service, Swift Water Rescue and Flood Rescue First Responders. Three rangers live within the Habitat Authority’s jurisdiction for quick emergency response time, and a ranger is available 24 hours a day. The rangers assist with Educational Outreach, Resource Management, Public Safety, and Maintenance activities. For emergency ranger services, or to report illegal activities in the hills, please call 24-hour dispatch at: 562-698-1446. 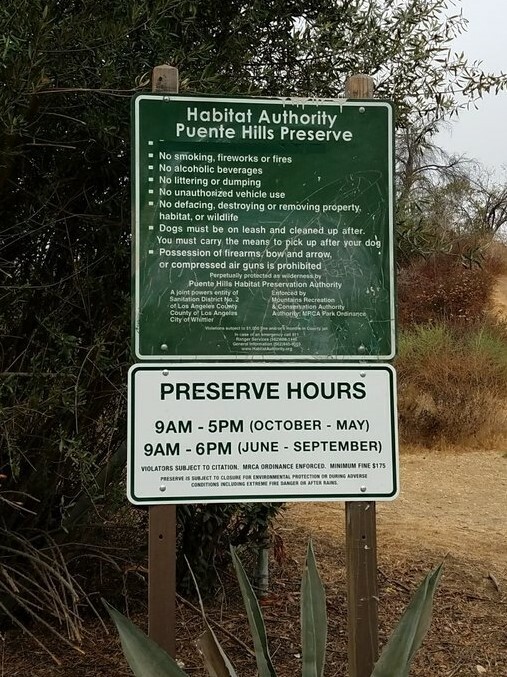 For information regarding the Habitat Authority’s policies concerning filming activities on Preserve properties, please contact the Authority’s office directly at either info@habitatauthority.org or 562-945-9003. The rangers enforce all agency park rules in accordance to the ordinance adopted through the Mountains Recreation and Conservation Authority and recognized by the Habitat Authority. Also, click here for information about Trail Tips.